Looking for a DVR without subscription fees to reduce your monthly bill? Here is an overview of the best options available that will work with cable or an antenna. Cord-cutters have much better options, but there are some tricks to reduce or eliminate your cable DVR fees. All of the products mentioned here operate a little differently, some are aimed at watching on the couch while others enable you to stream live and recorded shows anywhere with an internet connection. See what works best for you. If you've cut the cord or are only interested in recording shows with an antenna (ABC, CBS, FOX, NBC, PBS, CW, etc), there are some great options for a DVR without subscription. Amazon makes the Fire Recast TV DVR, starting at $190 for 2 tuners and 500GB of storage. It works a little differently. 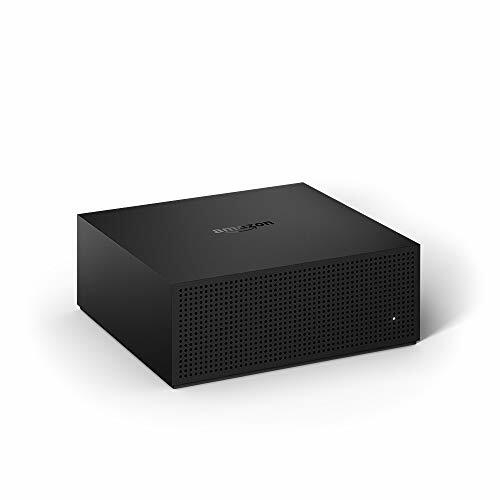 It sits on your home network and wireless streams live and pre-recorded video to your TV through Amazon’s Fire TV. You can also watch on mobile devices through the Fire TV app. Alexa voice search is also supported through Alexa-enabled devices. Fire Recast TV is an interesting option, especially if you already have a Fire TV. Tablo is another option that operates similarly to the Fire Recast TV. TiVo is practically synonymous with DVR. They make some very nice products, but with a price to match. A few years ago, TiVo made the Roamio OTA DVR that was specifically targeted at cord-cutters and did not have any monthly fees. Used and refurbished units are still available on Amazon. The current TiVo Bolt line has models starting at $250 that work with antenna only or antenna + cable , but they require a monthly fee. Lifetime service is available, and can be a good deal if you plan to keep the DVR for many years. TiVo’s can be expanded to support multiple rooms, and their interface includes voice search and several popular streaming apps, so you only need one device connected to your TV. Cable companies are addicted to the monthly rental fees they get from DVR’s, and TiVo’s cable DVRs all come with a $15 monthly fee or $550 for lifetime service. However, many live streaming TV services now offer cloud DVR’s - no extra hardware or monthly fees necessary. YouTube TV probably has the most full-featured DVR and includes unlimited storage (for 9 months after recording). Monthly plans start at $50. The next best option is DirecTV Now, which includes 20 hours of storage for 30 days, with additional storage available for an extra fee. Plans also start at $50. I have a lot of experience with the DirecTV Now DVR, and it is satisfactory. Small, but meaningful features are missing. For example, there is not option to include the most recent episodes of a series, it will automatically store every old episode which uses a lot of space. Other streaming services have some serious limitations. Hulu’s DVR requires an extra fee to allow fast forwarding (isn’t that the whole point??). Sling TV requires an extra fee for the DVR, which doesn’t support fast forwarding on ESPN or Disney channels. Playstation Vue has a free DVR, but it does not work with all local channels in all locations, and fast forwarding does not work on FOX channels. A search on Amazon shows there aren't any other cable-ready DVRs. If a TiVo doesn't work for you, look into building your own PC with DVR functionality. The Channel Master Stream+ is a great barebones option for cord cutters, while TiVo makes a more fully-featured and higher-priced DVR for antennas. If you’re looking for a cable DVR without monthly fees, a streaming service is your best bet. While these DVR’s are new and lacking some of the features of a TiVo, they don’t require any additional hardware. In the future perhaps all TV will be streamed over the internet with everything available on-demand from the cloud, making physical DVRs obsolete. Until then, happy DVR'ing.